You love to dress in a clean-cut, classic preppy style, made up of timeless high quality fabrics, clean lines and modest tailoring. We have designed an accessory to compliment your style . 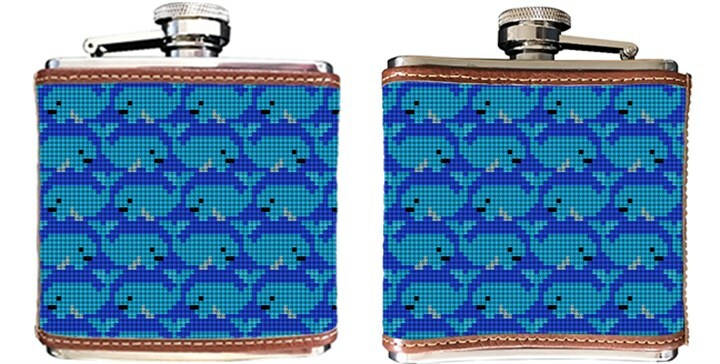 . . our Preppy Whale needlepoint flask. This is a needlepoint canvas you can take pride in stitching yourself, and enjoy for years to come. Please feel free to include a monogram for your flask.